I'm setting up Jira integration and am failing with the error: iBridge Method: /Atlassian/Jira Cloud/Create Issue.m Error: Jira Error: Type of request: data was not an array. The field wants the value "Customer Support" from Hornbill but accepts multiple entries, thus the array. Can anyone shed some light into this please? 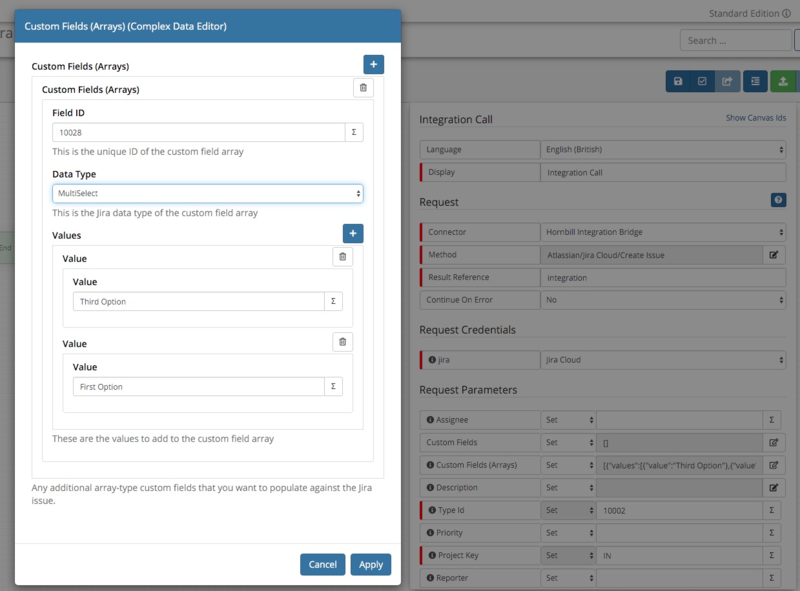 The custom field input within the Jira integrations only support fields of type string and number currently, array-type custom fields are not supported. I'll raise this and see if there's anything we can do to provide support for array-type custom fields. Let me know how you get on with these enhancements. Thank you sir! This will allow me to create epic integrations.